There are about 43.3 million foreign-born people living in the U.S. with many of them enjoying higher wages and better education after integrating into American society. But it’s a move that requires tons of paperwork, culture shock, and a fair amount of headaches. How can you get through it and make a smooth transition? We want to help simplify the process for you. Keep reading for some tips for immigrating to the US. Your move to the U.S. is bound to be an exciting venture that can open up a new world of opportunities for yourself and your family. Here is some information to help make your transition as easy as possible. The family-based immigration program allows people to obtain green cards if their spouse, sibling, child, or parent already live in the United States as a citizen or green card holder. However, you should note that if you’re coming from a country with a large number of applicants, you may end up on a waiting list. The reason this happens is that a single country isn’t allowed to account for more than 7% of the green cards that are distributed each year. Since the U.S. diversity visa program or the visa lottery began in 1995, more than 1 million immigrants have received green cards. However, President Trump now wants to cancel the program which was created to diversify the immigrant population by provided underrepresented nations with visas. So, if you are a citizen of a country that has a high number of immigrants traveling to the United States each year like Canada, Mexico, India, and China you cannot apply. If you are regularly taking a medication that was prescribed by your doctor, it’s important to keep up with it after your move. It is recommended that you try bringing a few month’s worth with you, if possible. You can’t walk into a pharmacy to have a prescription from another country filled. The prescribing doctor will have to be licensed in the state you’re in. If you have extra meds when you arrive, you’ll have time to find a local doctor to handle your prescriptions going forward. 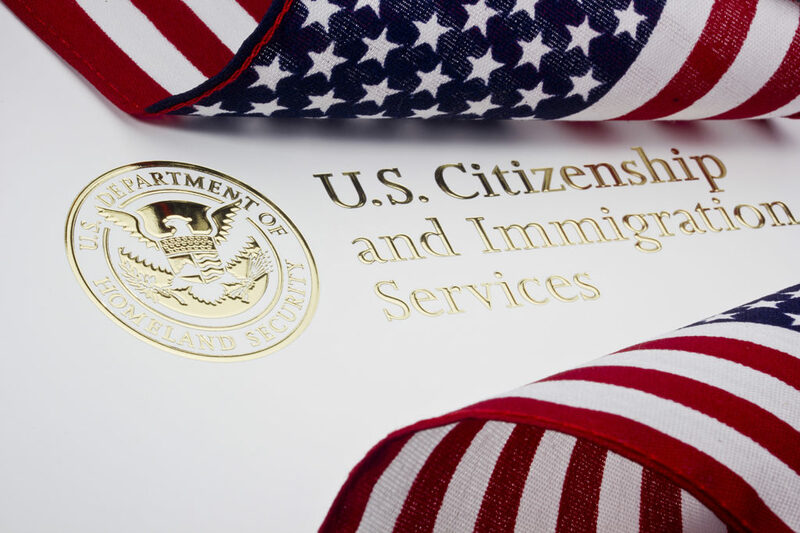 If you don’t fit into a special category and would like to qualify for your citizenship via naturalization, you will have to hold an LPR status (a green card) for a minimum of 5 years. However, there are some exceptions. For example, if a person obtained their green card status as a result of the Violence Against Women Act they only have to wait three years. Additionally, all applicants have to be at least 18 years old, pass an English test, and U.S. history and civics exam, and pay an application fee to name a few. It’s also important to remember that fees are added to the majority of the purchases you make in the U.S. For instance, a sales tax is added to the price of products after you’ve purchased them, so you should always expect to pay more than the ticket price. Also, remember that tipping is a big deal in this country, especially in restaurants. Immigrating to the US certainly doesn’t have to involve a series of roadblocks and hassles. Try to plan ahead as much as possible by preparing your finances and learning about obtaining your citizenship before your trip. For even more help with your transition, check out our web-based English Pronunciation Course.